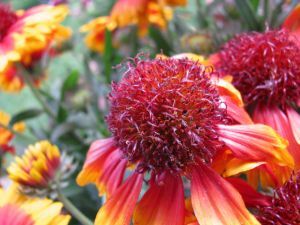 February is the month that we need to start some of our seeds, those veggies and annuals that take exceptionally long to germinate like peppers, rosemary and Gerber Daisies and perennials such as Echinacea, Black Eyed Susan and Shasta Daisies. Also specialty herbs and flowers that take a bit long to get to the point of harvest like, stevia, onions (from seed) and mache . Crops that do well in cooler temps like kale, lettuces, spinach and more could be started now also. The secret to getting seeds to germinate as quickly as possible is keeping the soil warm. If you start your seeds in a flat or peat pellets, set the flat filled with peat pellets on a warming mat (a heating pad on the lowest setting will suffice) to keep the soil to an optimum germination temperature. No light is needed during germination, not until after the plants have sprouted is light needed. Then try to keep room temperature between 65-70 degrees F and watch your plants grow. Don’t get impatient. Some seeds take up to 28 days just to peak through the soil. So don’t get in a hurry, remember it’s worth the wait to see what you have grown on your own from the tiny seed! !